This is an IoT or Internet of Things agriculture application based on the very concept that led to the birth of Connected Homes and Connected Cars. Coded by our IoT application development team, this is one of the agriculture apps aimed at improving the management of farmlands or crops to ensure better productivity. 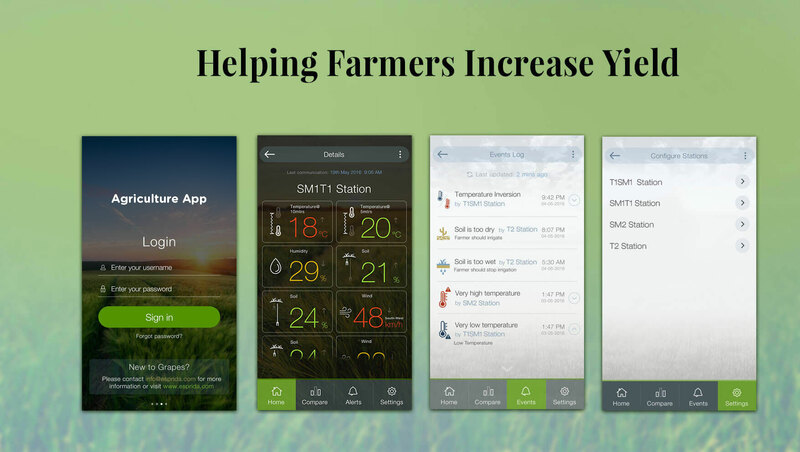 As the name suggests, this farmers app connects users with their crops and let them stay apprised of the physical conditions like temperature, humidity, soil moisture and wind speed prevailing there. IoT developers at Root Info Solutions are well acquainted with sensor integration over the cloud. Our IoT app developers built for Esprida, one of the well-known Internet of Things companies based in Canada that helps organizations across different sectors to manage and integrate physical devices, people-interactions and processes into their core business with the use of IoT. We are focused on enabling businesses, nonprofits and government establishments to leverage the power of IoT to transform their operations and processes - making them more agile, secure and flexible. Since 2004, we have been helping them deliver a better Customer Experience (CX) and service. According to an industry survey, by the end of 2016, we will be having more Internet-connected devices than people on the planet. Hence, being an entrepreneur or leader, you must absorb it and innovate your modus operandi to maintain an edge. We have a team of experienced IoT application developers and creative designers with a thorough understanding of Android and iOS user experience design to make things happen as per your expectations. Adhering to the Agile development methodology, we keep Quality Assurance staff and client in the development loop. Though there are many, we are highlighting those that we were able to solve through our IoT application development endeavor. The IoT app heralds an era of smart agriculture akin to smart computing and smart home. The app connects with the sensors located in different agricultural fields and collects the environmental information for the users, thereby enabling them to take care of their crops in a better way addressing the challenges discussed above. Here is what users can do with the app. This fully-featured agriculture app has been crafted out of a cross-platform app development framework, PhoneGap or Cordova, an open source technology. Our experienced IoT application development team have utilized all key elements of the technology from Web app and HTML rendering engine to plugins effectively. Google Maps integration enables farmers to have a live view of their crops. 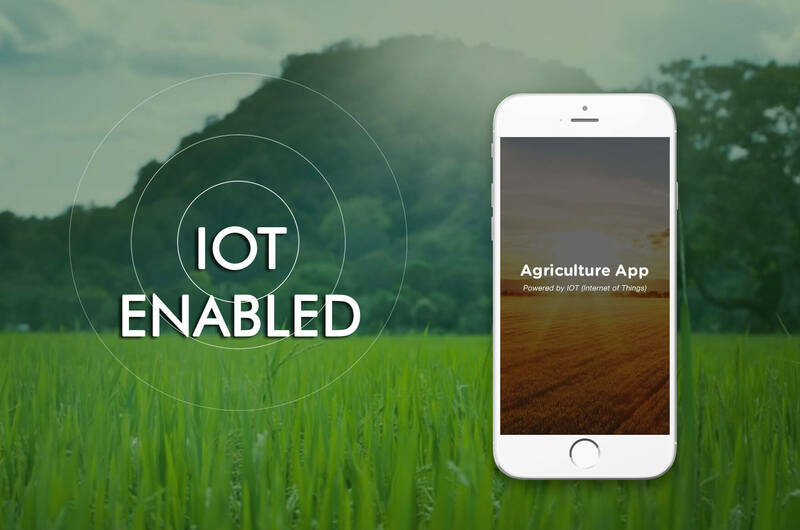 Despite using a third-party mobile app development framework, our IoT app developers have left no stone unturned in keeping the user experience of the agriculture app native across Android and iOS devices of varying sizes running different versions of the mobile operating system.